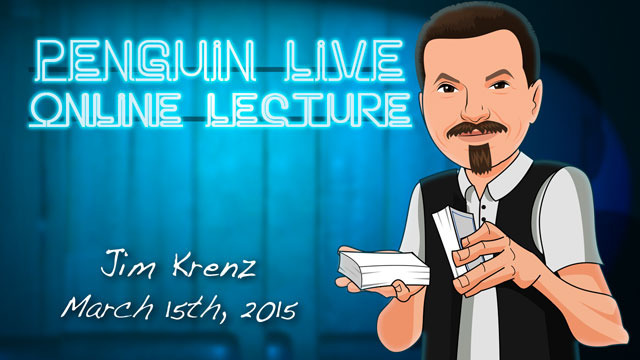 Today, when you order "Jim Krenz LIVE", you'll instantly be emailed a Penguin Magic gift certificate. You can spend it on anything you like at Penguin, just like cash. Just complete your order as normal, and within seconds you'll get an email with your gift certificate. Jim Krenz LIVE (Penguin LIVE) A well-studied creator and entertainer shares his tested close-up routines and techniques! SUPPORT LIVE MAGIC. DOWNLOAD THE FULL LECTURE TODAY. Los Angeles Opener Jim’s version of the Chicago Opener, which makes the routine directly relatable to the audience. Devilish Divide Jim’s version of Marlo and D’Amico’s classic, named Devilish Miracle. A Well-Cut Suit Jim’s version of Jumbo Coincidence, wherein the cards are really shuffled, but still match! All Expense Paid Trip Jim’s cards across routine, done completely in the audience’s hands! NeoMix Jim’s version of Oil & Water, with an ending that surprises everyone! Pen Through Anything Jim’s handling of John Cornelius’ Pen Through Anything, which changes the effect from a penetration into a torn and restored miracle. Ripper Jim’s torn and restored card—when Juan Tamariz saw it, he described it as his favorite version. Dracula Goes Wild Jim’s Wild Card, set to a horror story. Imp-Load Jim’s technique for loading a signed card into a card case under the full observation of the audience. Coins-A-Cross (“Featuring the one behind principle”) A coins across routine that will inspire you to reassess classic principles in magic. Invisible Triumph A self-working triumph that fools magicians and laymen alike! Jim has been interested in magic since his fifth year. Fifteen of those years were spent working for Jay and Francis Marshall at Magic Inc. He regularly performed close-up at Schuliens restaurant in Chicago. In 1993, he won the Most Valuable Participant award at the F.F.F.F. convention. Jim loves to participate in Las Jornadas de El Escorial in Spain. Most recently, he did a month-long lecture tour throughout Spain. Jim has created over three dozen original effects and techniques, and has lectured about them in nine countries. He has studied with Ed Marlo, Jim Ryan, Tony Andruzzi, Don Alan, Eugene Burger, Slydini, Tommy Wonder and Juan Tamariz. Jim's lecture is packed with ideas, techniques and routines that will entertain, fool and inspire you! Want VIP access to EVERY FUTURE Penguin LIVE we film? 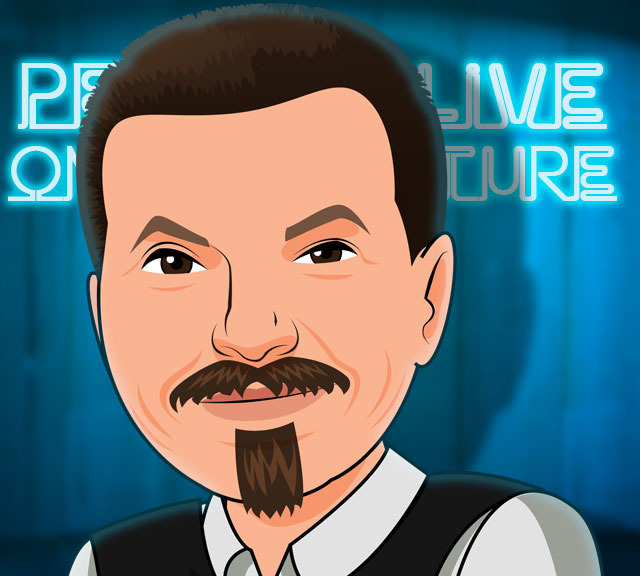 Check out the new Penguin LIVE: All Access Pass! Purchase the Jim Krenz LIVE product. This is your ticket. Sit back and watch over 2 hours of DVD-quality live streaming magic from the comfort of your own home. It'll be waiting for you in the MyPenguinMagic area. Magicians flock to see workers give talks. Why? Because these guys see and learn things that you won't find in any book or DVD. Yes, you'll be learning some incredibly powerful A-material, but the INVALUABLE stuff will be the insight you learn along the way. This lecture is for everyone, from the beginner to the professional and for magicians and mentalists alike. Don't miss it! This is top-notch material from one of the great pros of our craft. Get this, you will not regret it. I went out and did the card across effect and blew them all away. I was surprised by how easy it was to do and kicked myself for not knowing it sooner. I've always done a similar effect but most observant spectators called me out for touching the cards. Krenz's method totally fixes it by putting the action completely in the spectators hands. It's one of those effects that convinces people you've met the devil and learned his ways. Genius! A 4 1/2 hour lecture with fooling and entertaing card tricks. All the tricks on the list were taught with a few extras. With most of the trick explantations their was some discussion about the why of a trick, and this is what made the lecture worthwhile. I haven't heard much about this magician (except for a reference in Mnemonica). But after this lecture I just want to know what other things this man is capable of. There are a lot of mentalism lectures right now, thats why I have a AAP, most interested in that, so I just wanted to look the first five minutes what this is, never heard of Jim Krenz before, so I was almost watching the whole lecture. Pure entertainment, Top professional, funny, structured, Top explainations. Close up at its best. Highly Recommended. Thanks Jim! Buy it! You must get this if you like comedy and you like doing card work please get this. You won't regret it. Jim Krenz is the real deal. If you are into close-up, you will love this lecture. Some effects are perfect for the beginner, while other are better suited to more advanced card manipulators. Most of the material is perfect for table hopping. This is really an inspiring lecture. 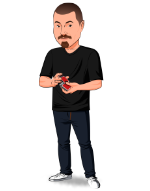 Jim shares some incredibly creative ideas and routines along with great advice that comes from years of experience performing for audiences and learning from some of the greatest magicians. There is a lot to be learned from this lecture, and it shouldn't be overlooked. I have been learning magic from Jim. He is a great teacher. His approach is straight-forward and real worker.